Using the most advanced dental technology possible is just as important as staying up-to-date on the latest treatment techniques. Because our practice is dedicated to providing you with the safest and most convenient orthodontic treatment options available, we are proud to use Carestream Cone Beam Computer Tomography (CBCT) imaging technology. Carestream CBCT is a digital, 3D imaging system that allows us to provide quick, comfortable, and effective orthodontic imaging for precise diagnosis, treatment planning, and the evaluation of certain conditions. 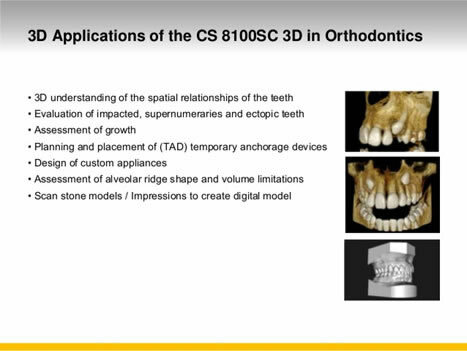 The data gathered is used to reconstruct a 3D image of your anatomy: dental (teeth); oral and maxillofacial region (mouth, jaw, and neck); and ears, nose, and throat (ENT). 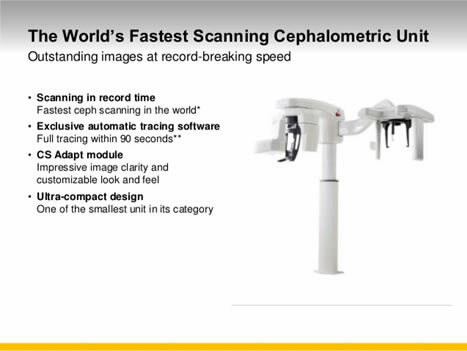 Our office is pleased to offer Carestream CBCT imaging. Come and see for yourself what it's like to receive a more advanced, patient-friendly orthodontic experience.